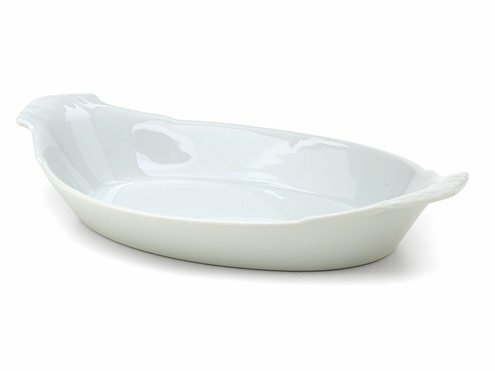 HIC 98047 porcelain oval au gratin dish, 12-1/2"
The wide, shallow design exposes the maximum surface area of the dish to the heat source. Extended sides give you "handles" for easy pick up. If you have any questions about this product by Harold Import Company, contact us by completing and submitting the form below. If you are looking for a specif part number, please include it with your message.